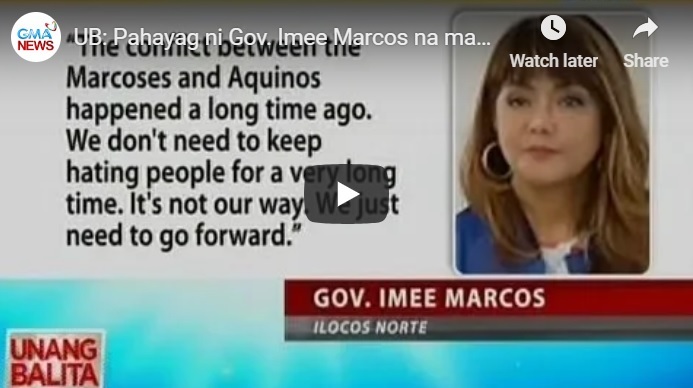 [VIDEO]: Umani ng batikos ang panawagan ni Ilocos Norte Governor Imee Marcos sa publiko na mag-move on na sa Martial Law. The relatives of the fallen SAF 44 troopers witness the ceremony that marks the Day of National Remembrance for the troopers. They were killed during a 2015 police operation in Mamasapano, Maguindanao due to the alleged negligence of the former President Noynoy Aquino. On January 25, 2015, the 44 SAF troopers perished in a cornfield in Tukanalipao, Mamasapano. They were serving an arrest warrant for Malaysian terrorist bomb-maker Zulkifli Abdhir or Marwan and other suspected terrorists. The police operation was code-named “Oplan Exodus.” Marwan was killed was also killed but incompetence in handling the operation falls on Aquino that led to the excessive loss of lives. Worst, he did not take responsibility. Instead, he passes the blame to the former PNP Special Action Force director Getulio Napeñas who then criticizes him of installing ex-Philippine National Police Director General Alan Purisima who to in the operation despite his suspension. Then comes Rappler’s news digging the ghost of martial law. It says that Marcos may be 17 years old during the proclamation of Martial Law was. However, she was already turning 31 in 1986. It was the year her family was exiled from the Philippines to Hawaii. No, mention of the wasted brave men in uniform during the time of Aquino. Understandably, the online news blog is only after the destruction of its political enemies like Marcos. 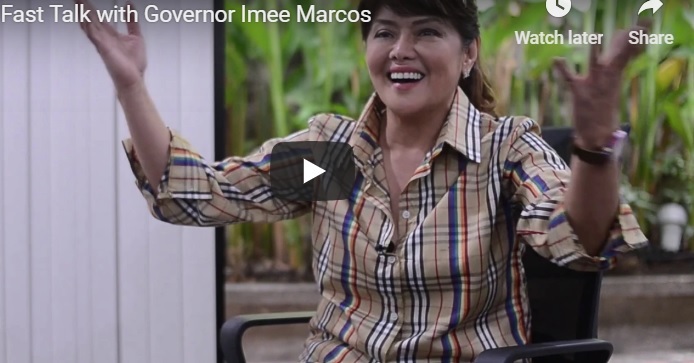 Imee Marcos graciously said that the martial law regime is far gone. Therefore the Marcos-Aquino family feud should move on. It would be beneficial to talk about what they can do to solve the problems of the country and eventually help in improving the lives of Filipinos. Despite that, the yellow media even digs further just to get controversial scenarios. Marcos was born on November 12, 1955. Her father declared Martial Law on September 23, 1972, when she was about to turn 17 years old. She merely explains without malice that they want to move on from their dark memories when they were young to a brighter future together with the rest of their countrymen. This kind of news really has no significance in the lives of the people. When the essence of a very special day is ignored because it can bring a political group down during the upcoming elections and make noise on gossip that can mislead lots of Filipinos who normally do not read thoroughly proves that the publication is not for public service. It merely exists to spread black media propaganda to discredit their opponents. As far as Marcos is concerned, she has moved on and is currently enjoying a high rating. The PET’s final decision looms after it announces that the revision of ballots for pilot provinces in PET Case 005 is almost over. The Supreme Court said that the initial suspension of the revision is necessary to train revisors. Although, the recount resumes immediately. Edgar Aricheta, from the court, said that the process paves the way for a second appraisal of ballot boxes. In his protest, Marcos assails the election results in 39,221 clustered precincts. Based on Commission on Elections data, the 39,221 clustered precincts are composed of 132,446 precincts. The initial recount that just resumes now tackle the unreadable ballots using the decrypted images as reference. Marcos lost to Robredo by only 263,473 votes. He accuses her camp of massive electoral fraud. This includes pre-shading of ballots, pre-loading of Secure Digital cards, misreading of ballots, malfunctioning vote counting machines (VCMs) and an “abnormally high” undervotes for the position of Vice President. Clean election advocate, Atty. Glenn Chong who seeks for a seat in the Senate said that election manipulations already exist since 2010 until 2016. 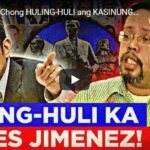 They are evident in documents and evidence found from the third district of Camarines Sur. Robredo was the former deputy of the House of Representatives from the place where many of the wet ballots are found. During a Senate hearing, Chong’s data coincides with Marcos’ accusations against his opponent. 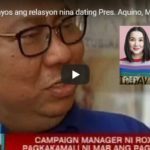 Recently, he discloses that a certain George Kintanar of the Comelec Advisory Council advices him to talk to the previous Chairman of the agency, Sixto or Boy Brillantes so that he can win in Biliran that he refuses. This can only mean that they can indeed manipulate election results. 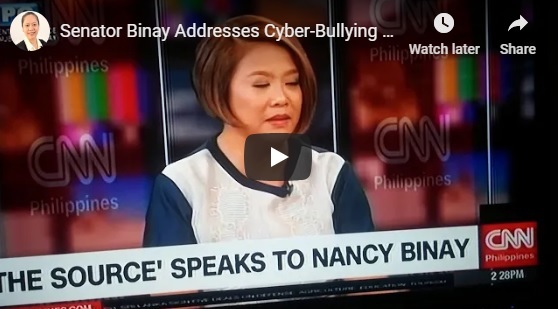 [VIDEO]: Pinky Webb of CNN Philippines summarizes the Anti-Bullying book of Senator Nancy Binay by saying: Do not do to others what you do not want others to do unto you. Senator Binay cannot see any reason to feel bad on constructive criticisms. She said that for as long as they are true, those could serve as guidelines for her self improvement. 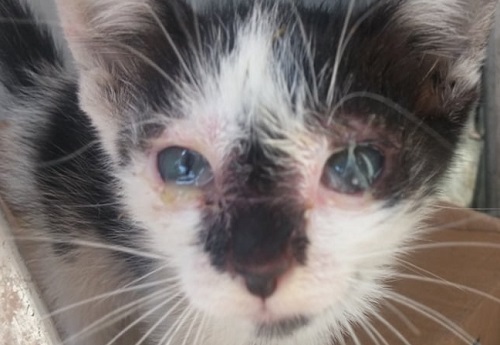 Nevertheless, she does not want to tolerate cyber-bullying because of its fatal circumstances. Binay reminds viewers to think first what would others feel when bashed wrongly. Webb summarizes Binay’s anti-cyberbullying strategies using the golden rule. Do not do unto others what you do not want others to do unto you. She is also a contributor to Binay’s slam book on the subject who admits that she does get hurt in the midst of irresponsible criticisms. However, she chooses not to dwell with it and move forward instead. In light of the passport data breach, and to further protect the privacy of individuals, Senator Binay calls on the solicitor general to review the contracts of government’s data management providers. She urges the agency to verify the agreements with third-party software and data operators particularly those that concern the national database system. The Senator files a bill in the Senate to promote public awareness and institute early detection and prevention of Systemic Lupus Erythematosus (SLE) or the “Lupus” disease. “There is no cure for SLE, however, medical interventions and lifestyle changes can help control it,” she said. Binay authors Senate Bill No. 2070 known as “Comprehensive Lupus Prevention Act of 2018.” SLE or “Lupus” is a chronic auto-immune disease where the immune system attacks the body’s cells and tissue. This results to the inflammation and tissue damage in different parts of the body. It mostly affects the heart, joints, skin, lungs, blood vessels, liver, kidneys, and nervous system. Kris Aquino is currently suffering from this kind of condition. Online bashers are fond of calling the good Senator, charcoal. Although, most of these haters do not realize that they are criticizing the original Filipino skin. She might be referred to as such but her heart is on fire for wanting to serve the people regardless of their political affiliations. She previously filed a resolution that made the 2016 election fraud Senate inquiry possible. Bongbong Marcos is thankful to her on this issue. [VIDEO]: The boys and I had a great time reading through your comments! We thank you for your kind words and we hope you keep them coming! “Those who do not learn from history are damned to repeat it, and we do not want that, said Bongbong Marcos once. The whole point is to move forward. That’s why you address the problems of today with the available solutions that you have today, not what happened two generations ago,” he emphasized. Marcos said this to address the issue of his late father’s regime. 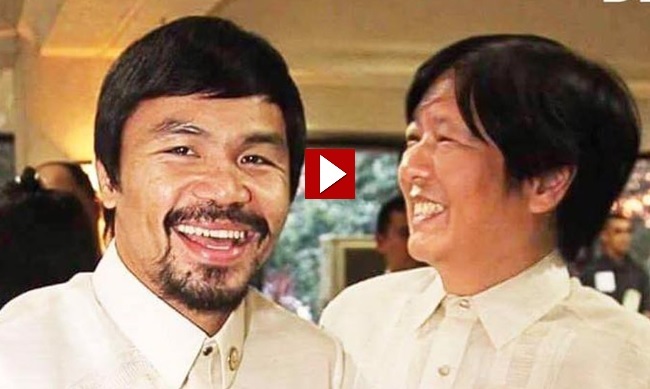 Pacquiao previously defended him saying that he is not his father. Marcos previously slams human rights groups and the Aquino administration for their calls to his family to apologize over the atrocities that allegedly took place under the leadership of the Marcos patriarch. 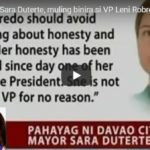 He might have run together with the late Senator Miriam Defensor Santiago but it was obvious that his team was in cahoots with then-Mayor Rodrigo Du30. Pacquiao on the other hand, ran under the picket of former VP Jejomar Binay when Du30 was hesitant in running for the Presidential race in 2016. Du30, Binay, Pacquiao and Marcos detest the human rights groups and the Aquinos for that matter. Marcos and his sons took the time to reply to some social media comments at their online pages. Since the Filipino electorates are personality-based, it is crucial for Marcos to update his supporters with regards to their daily undertakings for the people’s welfare. According to the head researcher of Pulse Asia, most people voted for Marcos in 2016 because of the concrete evidence of his achievements and the useful infrastructure projects of his parents during the golden age. 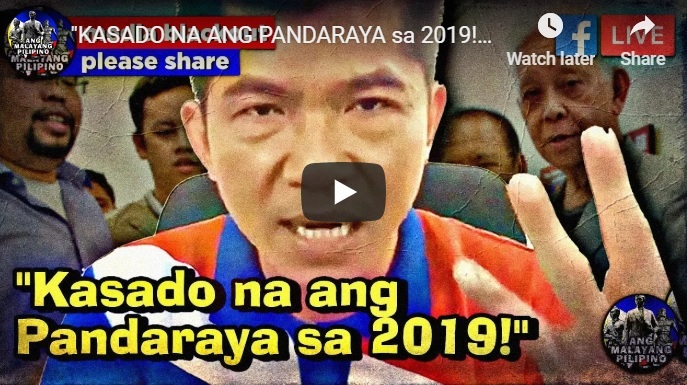 The OFW First Installment video where BBM mentions his possible tandem with Pacquiao serves as a teaser for the 2022 elections. Both are not part of the 2019 midterm poll. However, Marcos’ sister, Imee Marcos makes it to the magic 12 during recent surveys. It would be the 2019 Senatorial race first prior to the 2022 Presidential and Vice Presidential elections. Facebook that is the major social media medium in the country. 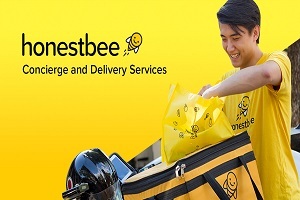 It conducts an anti-spam campaign at their popular site recently. Many group pages that do multiple postings are temporarily suspended. The aim is good but the abrupt penalty made the pro-Du30 faction believes otherwise. That FB tries to suppress their freedom of expression. In reality, when things are quiet, then it is not yet the time for BBM to emerge victoriously.